New Delhi: Country’s largest car manufacturer, Maruti Suzuki India Limited resumed its production activities at its Manesar and Gurgaon facilities on Monday after the fire in Subros Limited’s Manesar plant forced an extension of its maintenance closure, informed a statement from the company. “The maintenance closure had been advanced by three weeks to June 6-11, following a fire at the Manesar facilities of its supplier, Subros Limited, on May 29,” it said. Subros is one of India’s major air-conditioning parts suppliers and caters to the needs of around 60 per cent of Maruti’s cars. As per reports, the fire in the Subros Manesar plant, caused by a blast in a moulding machine, resulted in damage to computers and machines facility while one of the towers also collapsed as a result. 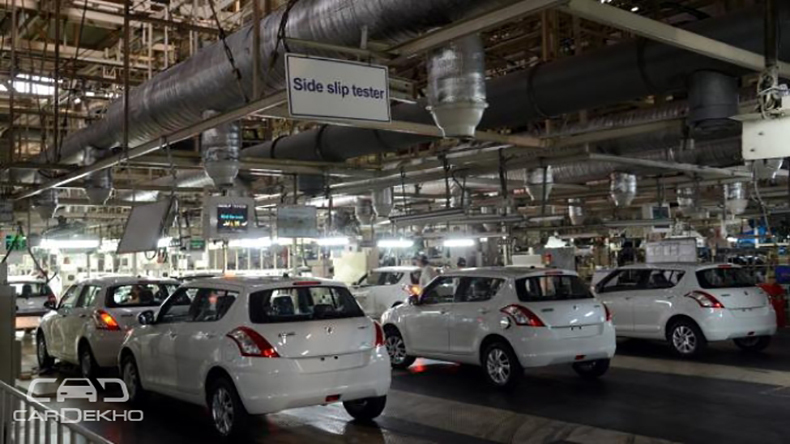 The combined output from the Manesar and Gurgaon plants is currently about 5,500 vehicles per day and it was imperative for Maruti to ensure that production resumes at the earliest, given the demand of the Vitara Brezza and Baleno climbing up at the drop of a hat. Subros also supplies air conditioning parts to various other carmakers in the country, including Tata Motors, Mahindra & Mahindra, Force Motors, Renault and Nissan. While Maruti was the worst affected by the fire, the extent of damage to other carmakers remains to be determined.